Well it’s been 3 weeks since I fished last. Since that time I’ve been on holiday in Tunisia for a couple of those. My last visit to the lake produced not one single bite in 48hrs of fishing. I assumed that the tench were not feeding. I was in the right location but they were just not there. Well I’m not sure! 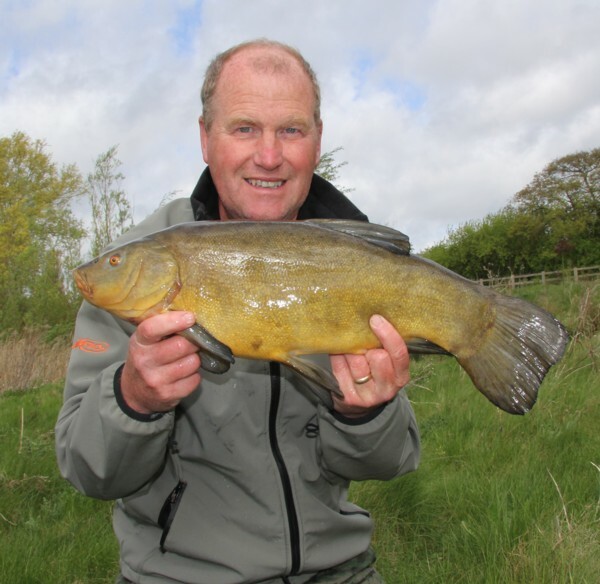 I have to say that towards the end of the holiday I was itching to get back and resume my tench campaign hoping that I could get a few on the bank. It’s madness I know but life is life! 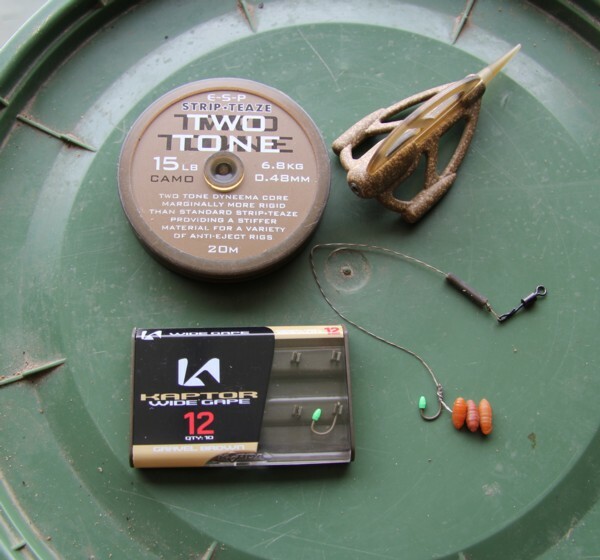 I can use three rods on the lake so I decided to fish method feeder and plastic casters on a hair rig on two rods and a Drennan inline feeder and three plastic maggots on the other. 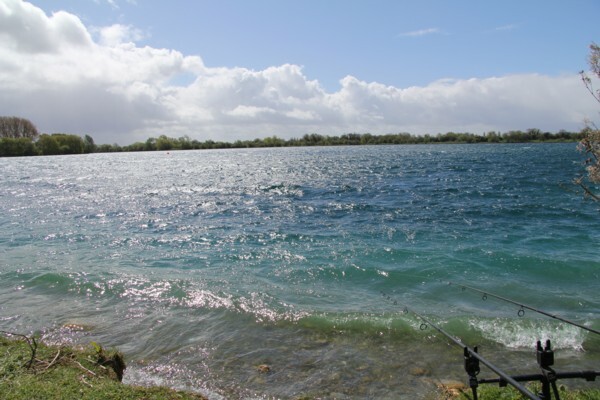 Arriving at the lake there were only 2 anglers on 120 acres and one of the anglers was in the swim I wanted to fish. I went around to talk to him to see how long he was staying, he had just arrived and was staying for 4 days. So that was it I settled on another swim. It was about midday when I started to set up camp. The weather forecast for the next few days was for very strong winds and heavy rain later. So with this in mind I set up where I could keep the bivvi entrance facing away from the predicted strong winds. First thing was to do a little feature finding. There was a fair amount of fresh growing weed at about 30 yds out so I fished just off the back of this. Hoping that the tench would patrol along it. So once I had found this I spombed out about a couple of pints of a mixture of red maggots and hemp to one area and hemp and casters to the other. They were not too far apart though. Soon enough the rigs were cast out at 2pm. The sun was out and it was tee shirt and shorts kind of weather and about 20c. Nothing much happened for a couple of hours. Then at 4pm one of the caster rods indicated a fast take with the free spool singing along as line peeled off the reel. I lifted into the fish. This was no tench as I played what I thought was a brown monster. On the light line ( 8lbs) it took me some time to get it under control. As the fish came in close sure enough it was a brown monster. It didn’t look to be one of the very old fish that attain 40lbs plus in the lake, but one about 50% of that size. It was a lovely looking carp of 17lbs. So no blanking this visit. Nothing much happened other than a small pike of about 5lbs kept trying to take the feeders when retrieving to recast. Then at 8pm I had another take on the same caster rod. This was no carp but a tench that fought really well and took some line from the reel. This normally means that it’s a male tench, and sure enough it was a male of 5lbs 4oz. So the first proper tench of the season, get in there! Nothing came along during the night. I set the alarm for 4.40am in the morning and I was up putting in more hemp maggots and casters again with the spomb. I was casting out every 45 minutes or so. I was rewarded at 8.10am. I was just talking to other half on the phone when I got another run on the caster rod. Quickly terminating the call I lifted into another tench which again fought well and I landed the smallest tench of the session at just over 4lbs. Then at 9am I had another run which resulted in another male tench of 5lbs 7oz. Where are the girls when you want them? Nothing changes! 9.15am I had another take again on the caster rod and this time a girl made an appearance and weighing in at 6lbs 6oz. 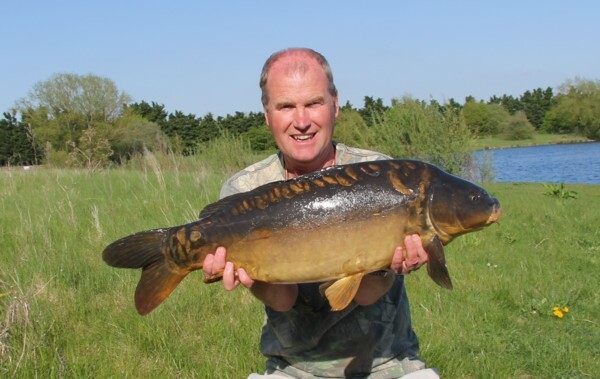 It was very interesting that I had just recast the rod after catching the male tench. 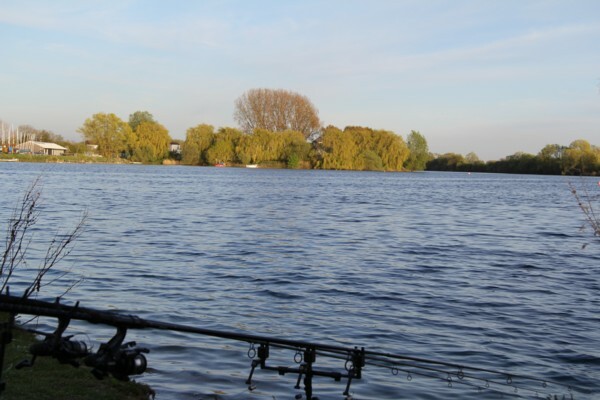 It just goes to show that you need to get the rods out quickly as they are shoal fish and you stand a chance of another soon before they move on. Next at 9.40am I caught a large male of 6lbs 1oz again on the caster rods. Then at 10am I missed a run on the maggot rod only just feeling a fish was on. The tench continued to feed to midday. I caught three more female tench during this time. So 7 tench during the morning was a great result. With so much action I needed to get more bait so off I ventured to the local tackle shop. The caster rigs were certainly working well. The maggot rod…….well not too good! So the action continued at 3pm when I landed a 5lb 5oz male tench. 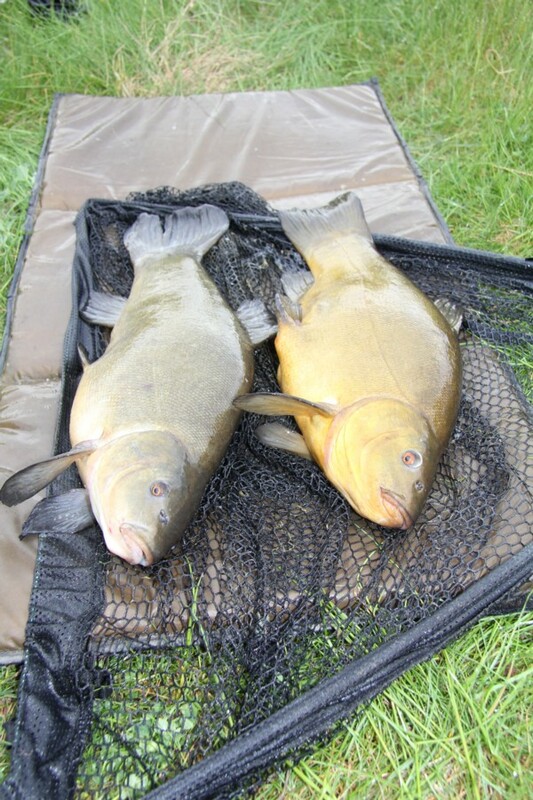 Then up until 8.15pm I had another 5 tench including two 6lb plus tench of both male and female. Oh and that pike kept chasing the feeder and eventually I caught it. Very thin and about 5lbs! Again it was a very quite night with nothing going on. The lake took on a very still like appearance it was the lull before the storm! Again I was up early at first light and recasting. The wind speed was slowly increasing. The forecast was for speeds over 50 mph and so the waves started to form as the morning progressed. Surf was up! Then at 9.35am the caster rod was away again. This time a lovely female 6lbs 4oz tench was landed. The session went better than I thought it would. 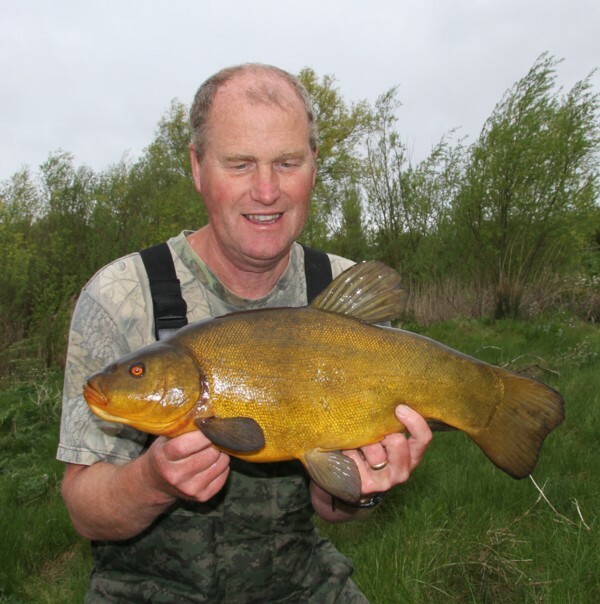 The tench were fairly thin and will be feeding earnestly to put on the weight ready for spawning later in June. The pike was at it again during the morning! 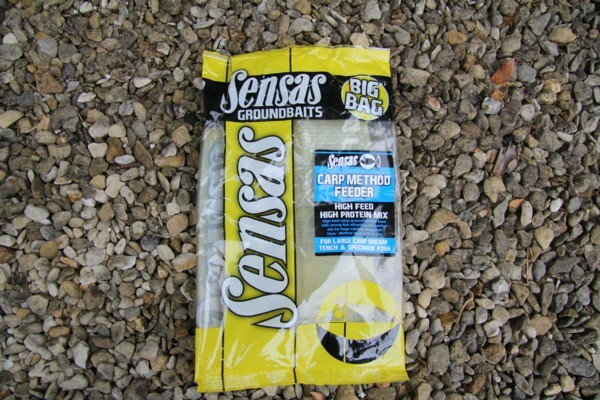 The method feeder mix I used was as in the photo below. This entry was posted on Friday, May 10th, 2013 at 7:36 pm	and is filed under Uncategorized. You can follow any responses to this entry through the RSS 2.0 feed. Both comments and pings are currently closed.